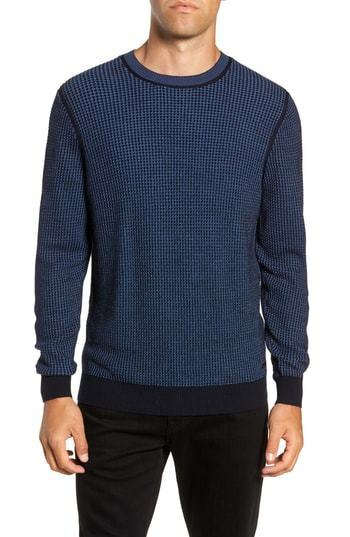 If you're on the hunt for a casual yet dapper look, pair a Rodd & Gunn wilberforce regular fit wool sweater from Nordstrom with blue skinny jeans. Both garments are totally comfortable and will look great paired together. Elevate this getup with brown suede double monks. If you're after a casual yet seriously stylish ensemble, pair a Rodd & Gunn wilberforce regular fit wool sweater with mustard chinos. Both items are totally comfortable and will look great together. A navy crew-neck sweater and olive corduroy jeans are absolute essentials if you're piecing together a casual wardrobe that holds to the highest fashion standards. Wearing a pair of dark brown suede derby shoes is an easy way to add some flair to your getup. 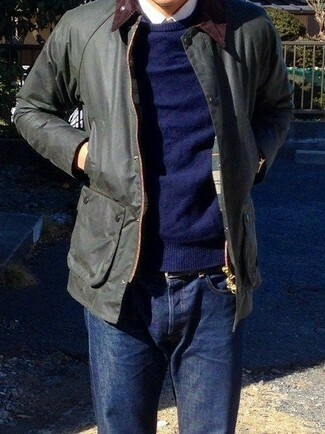 If you're after a casual yet dapper getup, rock a Rodd & Gunn wilberforce regular fit wool sweater with navy chinos. Both items are totally comfortable and will look great together. Up the ante of your outfit with black suede loafers. 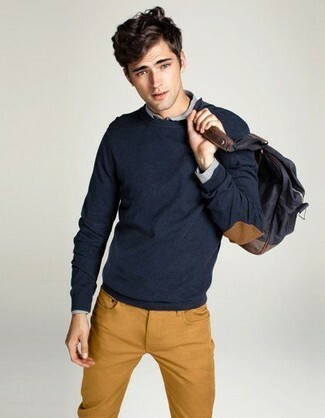 For an outfit that provides comfort and chicness, dress in a navy crew-neck sweater and navy chinos. 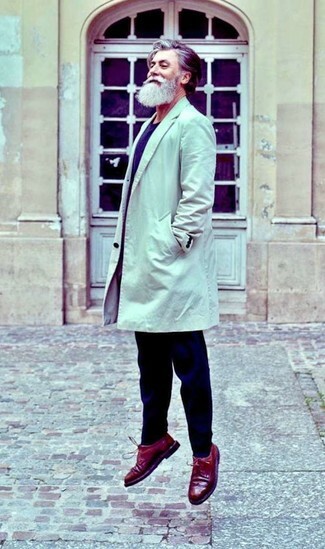 Lift up this outfit with burgundy leather brogues. This pairing of a Rodd & Gunn wilberforce regular fit wool sweater and navy jeans exudes comfort and practicality and allows you to keep it low-key yet current. If you're scouting for a casual yet dapper getup, try pairing a Rodd & Gunn wilberforce regular fit wool sweater with navy plaid chinos. Both items are totally comfortable and will look great paired together. Bring instant interest and excitement to your outfit with brown leather derby shoes. Contrary to what you might believe, ensembleing stylish doesn't take that much time. 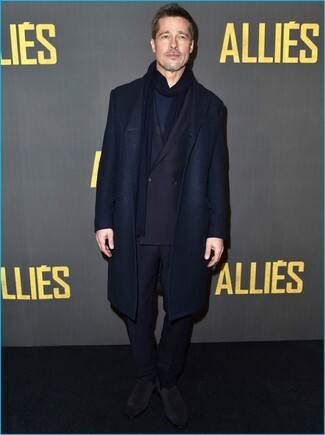 Just wear a Rodd & Gunn wilberforce regular fit wool sweater from Nordstrom with a navy overcoat and you'll look amazing. And if you want to instantly up the style ante of your look with one piece, add charcoal suede chelsea boots to the equation. 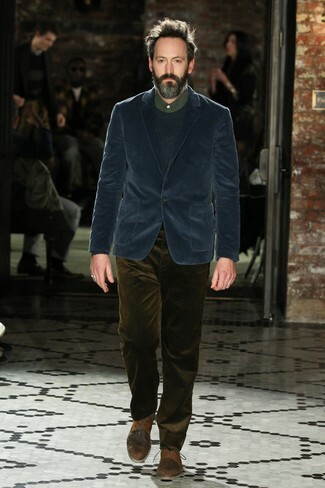 If you're after a casual yet on-trend look, consider teaming a navy crew-neck sweater with blue chinos. Both pieces are totally comfortable and will look great paired together. 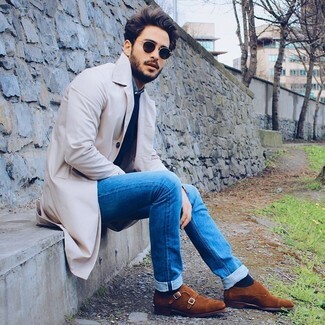 When it comes to shoes, this ensemble is finished off wonderfully with orange suede desert boots.